Your finances are important to you. But you may not have enough time to go through piles of paper work and receipts to know where you could be losing or making money. As a family physician, your busy schedule could use a helping hand. CPAs or certified public accountants play an integral part in the financial planning for individuals and businesses alike. Here is why some professionals, including doctors, choose to hire a CPA. 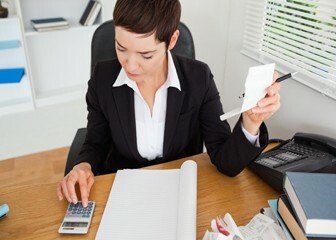 A CPA can be a jack of all trades when it comes to personal finance. From forensic accounting to tax preparation to estate planning, a CPA can work in any area of finance. For those in the medical field, a CPA will be able to handle the basics like bookkeeping and filing taxes as well as more complex duties like tracking trends in your financial performance. Just as you monitor the health of your patients, your CPA monitors the health of your finances. With the use of their trusty calculators and other financial analysis tools, a CPA will be able to evaluate how your money is being allocated which in turn will help you make informed decisions about other areas of your finances. You will get the big picture of how well your practice is operating on its current budget as well as a sense of where there could be room for improvement. Before you start flipping through the Yellow Pages or run off to the nearest search engine to find a CPA, figure out what type of CPA you want to hire and what you’d like them to do for you. One thing to consider is hiring an accountant who specializes in healthcare. Having someone who understands your business will have a better time managing your operating costs, saving you time and headaches. Be sure that he or she is knowledgeable of the laws and regulations surrounding healthcare, tax laws and employment laws. Because the medical field is so unique, it’s important to have someone who has experience dealing with physicians as clients. This is crucial in the event that your practice is being audited. If numbers aren’t matching up, the IRS may pay your office an unwanted visit. In addition to hiring a CPA with medical expertise, be on the lookout for any red flags in regards to a CPA’s history, education and experience. While a certified public accountant’s services can be expensive, that doesn’t mean you have to feel swindled. All accountants aren’t created equally, and if you aren’t careful, you could be paying more than you bargained for. For more tips of knowing how to pick a CPA that’s right for you, check out Physician’s Practice Guide. Having a CPA isn’t mandatory for a family physician. However, when you consider how stressful your job can get coupled with how stressful financial management can be, hiring a certified public account could make your life easier in the long run.